The discussions of Portland Urban Form (here, here) got me thinking about a series of posts I originally posted to Free Association Design of a collection of historic Portland maps that I thought worthy of reposting here. It's great to see the origins of the urban form begin to take shape, and it provides a context in which to see what happened over a century and a half previous and it's current ramifications. Starting off, this is one of the oldest maps I’ve been able to find 'The Clearing' shows the core of Portland in the early years. 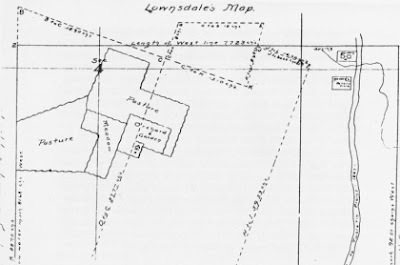 The large parcels on the right are owned by Francis Pettygrove and Benjamin Stark, both prominent place-names of early history. 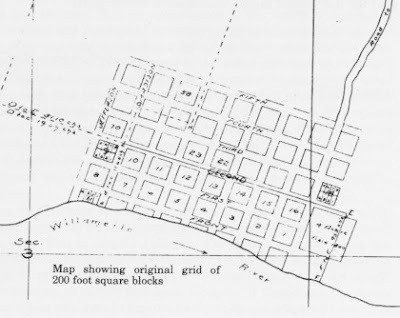 This is the first iteration, including the afforementioned 200' square blocks, which were laid out by the business-oriented duo to maximize valuable corner lots. The map below shows the level of development – tied closely to the larger 1852 Portland map in amount of urbanization. You can also see on the right side where the grid shift will take place (along present day Burnside) as the blocks blend into Capt. Couch’s claim. The inset of the western section shows the sparse development – including pastureland, orchards, and gardens. There was also some smaller gardens and potato fields along the creek (which is probably Tanner) to the NW. 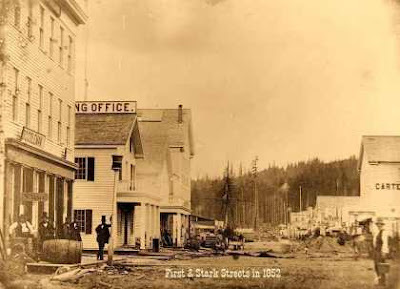 The City of Portland was subsequently incorporated in on February 8th, 1851, using the established Lownsdale plan as a starting point. 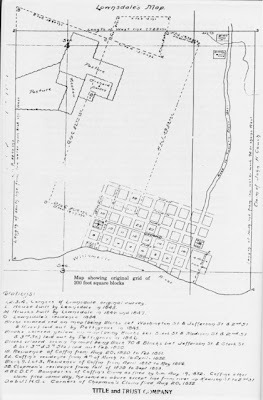 The inset shows the ‘developed’ downtown – expanded somewhat from the 1945 map of ‘The Clearing’. To the north was land claimed by Captain John Couch – and to the south was land claimed by James Terwilliger – place names that continue to define NW and SW areas to this day. 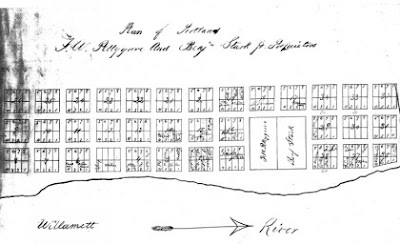 The road shown on this map led to the Tualatin Plains, running along present-day Canyon Road, which at the time was a plank trail built in 1847 – heading towards present-day Beaverton. awesome series! thanks for these!